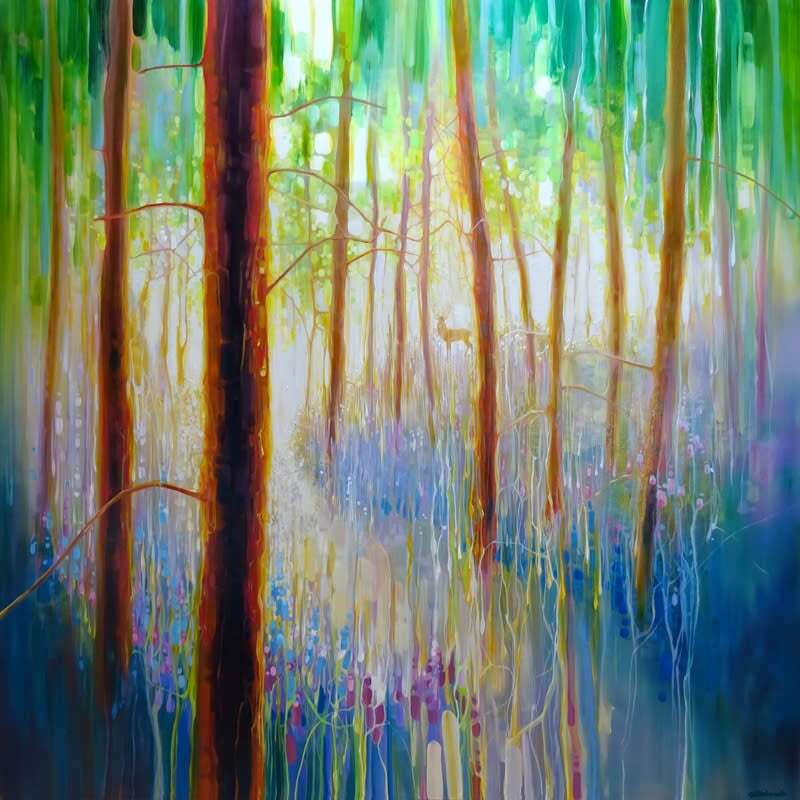 Bluebell symphony is very large original oil painting on canvas (48x48 inches) of a Spring woodland painted in a semi abstract, impressionist style. 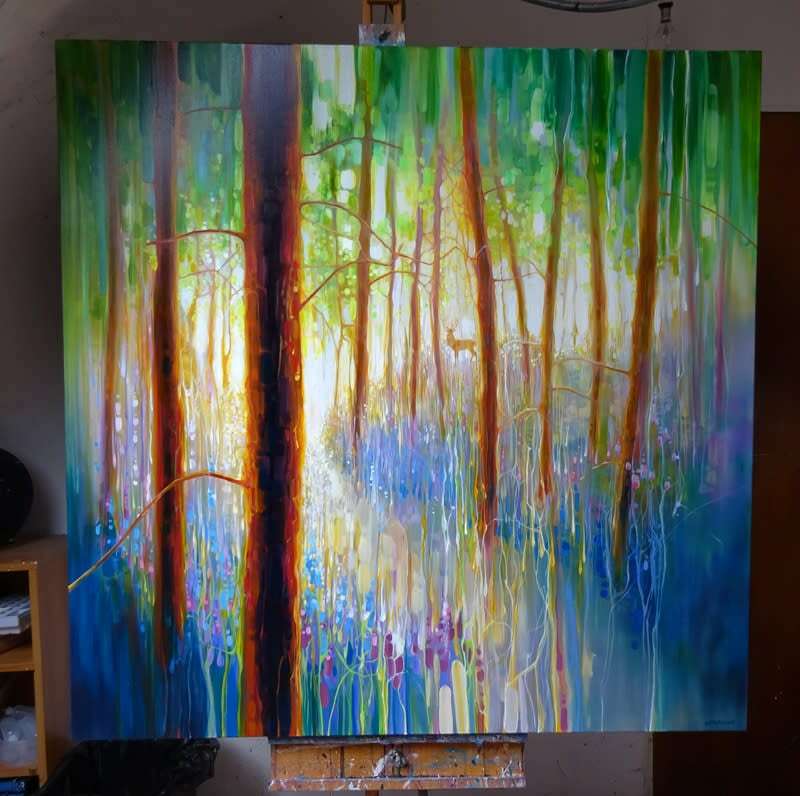 As it is a large painting, it gives the viewer the feeling that they can walk into this golden Spring wood with its bluebells and wildflowers and green trees and follow the sunlight path out to the fields beyond. 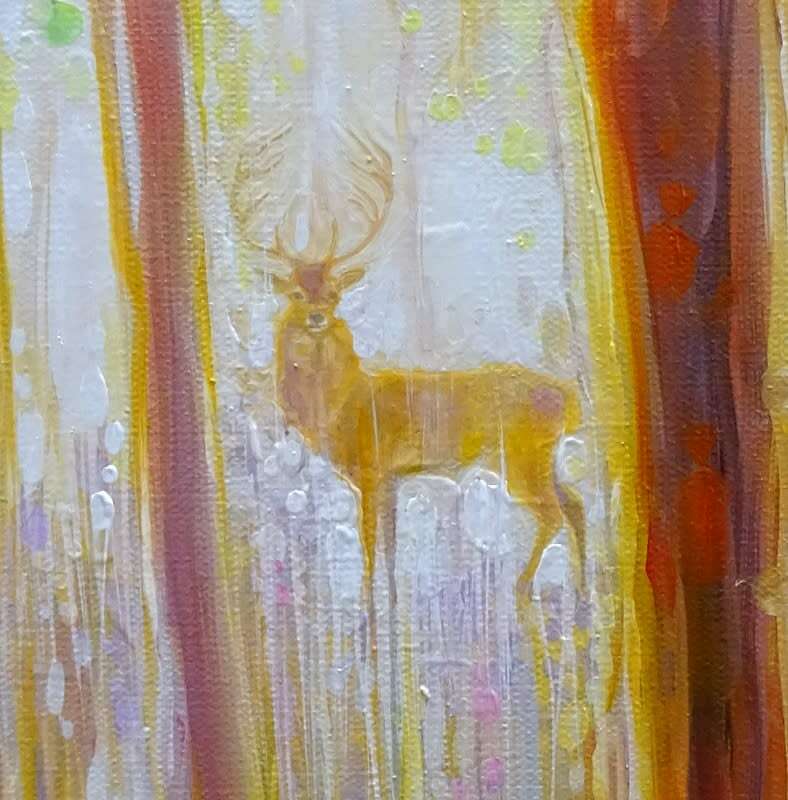 A glowing yellow stag can be seen near the path looking at us imperiously as stags do. He is a guide to somewhere wonderful but is assessing our intentions before he leads us forward. 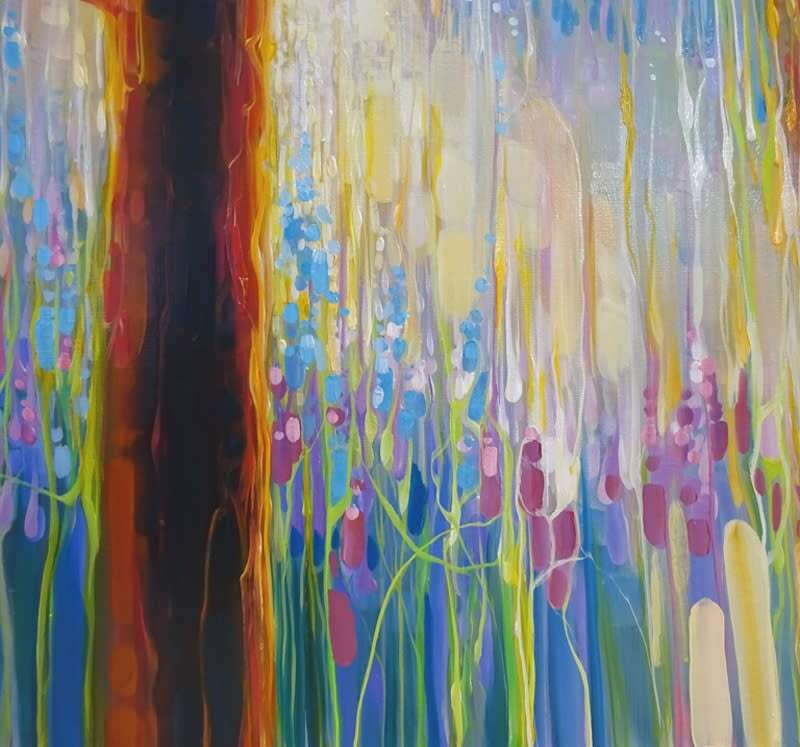 In the foreground to the left is a large tree which sets the perspective for the rest of the painting. The bluebell flowers and leaves are painted in a semi abstract style which by their colours and positions hint at what they are but in an ambiguous way. 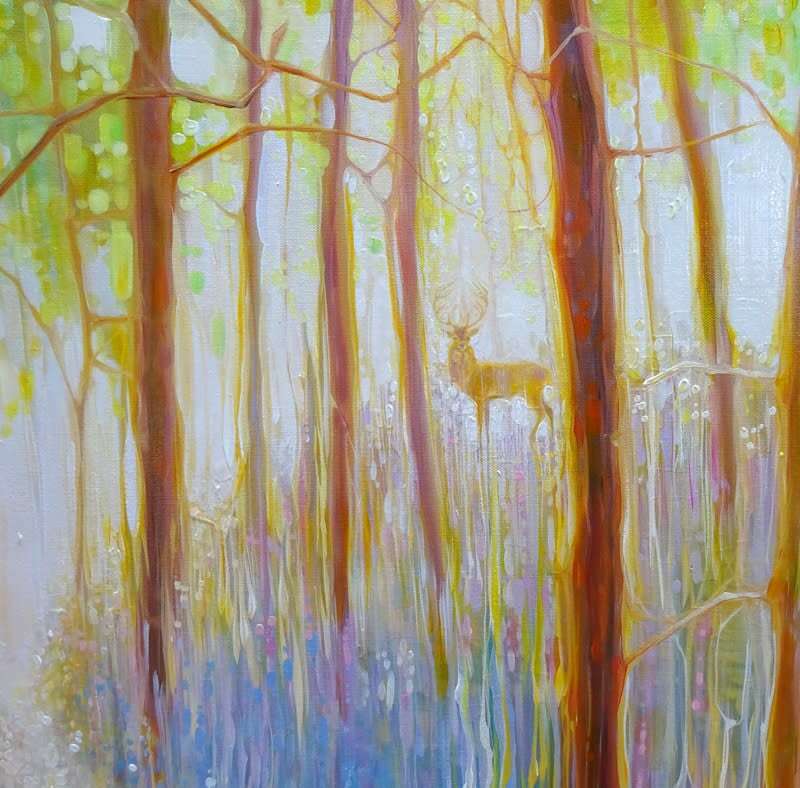 This is because when I painted this it was from memory and I remember impressions and colours and motions but not details. I like it this way as it gives a transient feel which is what I wanted to capture here as that is what bluebell season is. 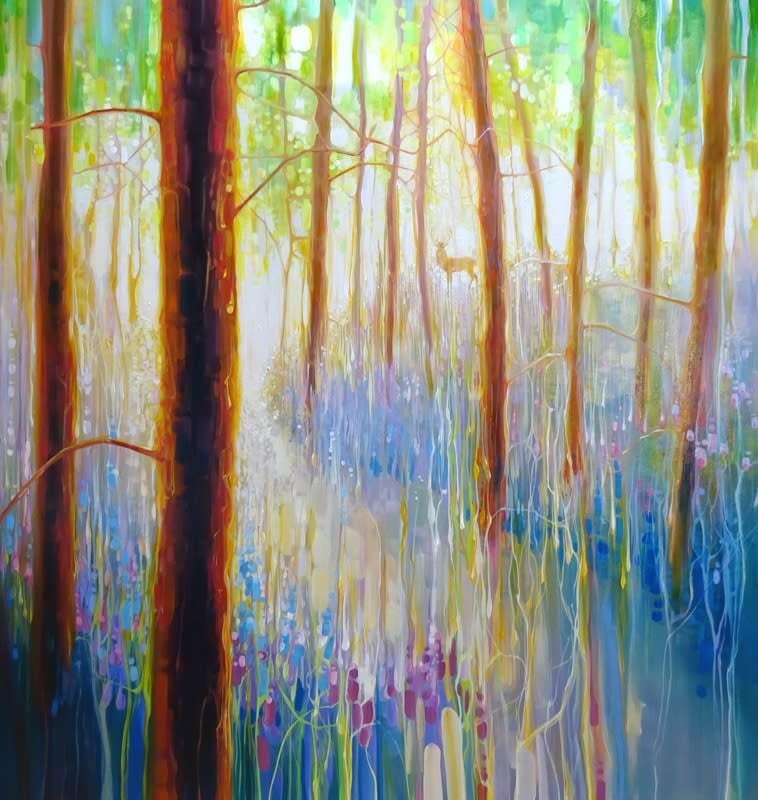 For many people it is their favourite season (including mine) and I am happy to have painted a place where I can escape to a Spring woodland among the trees and flowers whenever I have had enough of an English winter... It is 1.5 inches think, edges white, frame not necessary, ready to hang. I use a Fine Art Trade Guild approved print company to fulfill all my print orders. Paper is archival, acid free and inks are fade resistant. 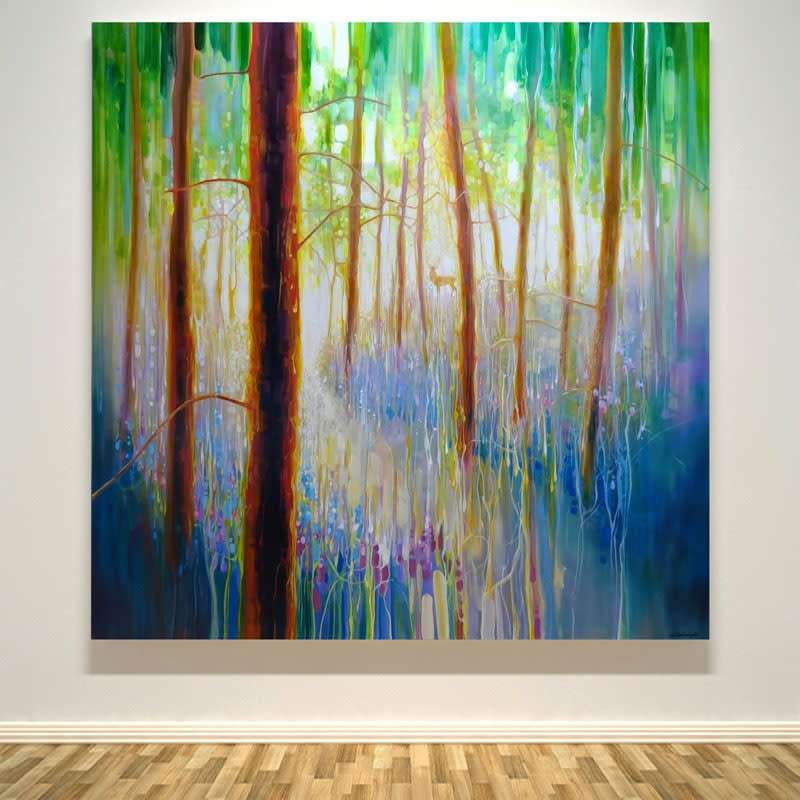 Canvas is mounted on a strong wooden frame with fixings on the back so is ready to hang. Delivery usually within 7 working days. 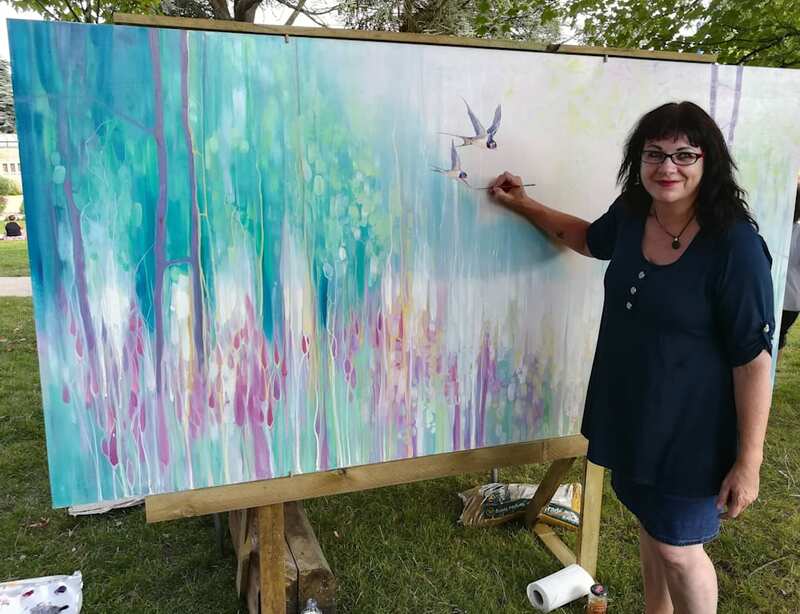 © Copyright 2018, Gill Bustamante - Artist. All Rights Reserved.